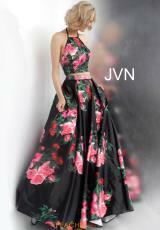 Stay on trend at this years senior prom and rock this boldly printed JVN by Jovani prom dress JVN66058. 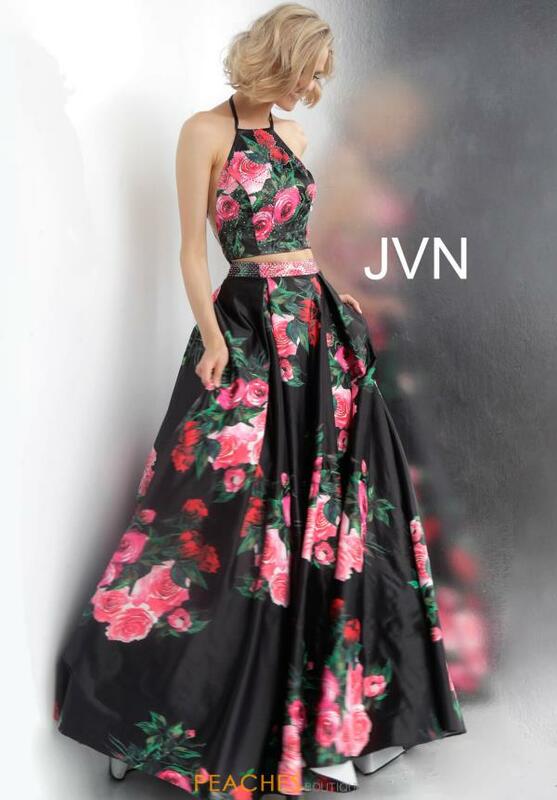 Made in rich satin fabric with a vibrant rose floral print, this stellar two piece ensemble features a high, halter neckline crop top with low open back embellished with heat set stones for extra sparkle. The a line, long skirt is made fuller with inverted pleating, has hip pockets and a beaded waist band. 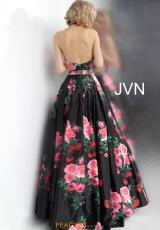 See more phenomenal JVN by Jovani gowns at peachesboutique.com.